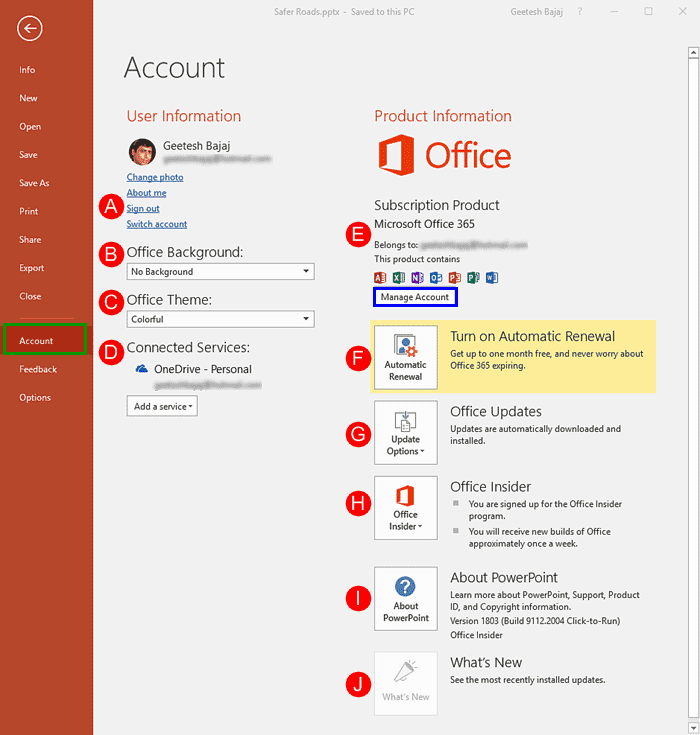 In PowerPoint, and in other Office 2016 programs you typically need to sign in to a Microsoft Account so that you can access saved settings, customizations, and even some files off the cloud. You typically do this by managing your Account, right inside PowerPoint or another Office 2013 program such as Word and Excel. The Account tab in Backstage view allows you to sign in to your Microsoft Account, and automatically connect to your OneDrive account. 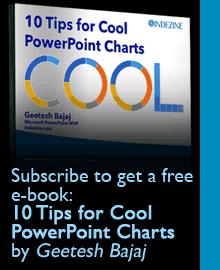 In this tutorial, you’ll learn how to access PowerPoint 2016’s Account options. Learn about the Account option in Backstage view in PowerPoint 2016 for Windows.